Posted on 12, October 2016 by EuropaWire PR Editors | This entry was posted in Automotive, Construction, France, Transportation & Logistics and tagged Alstom, Dubai, Expolink, Henri Poupart-Lafarge, José Manuel Entrecanales, Kemal Guleryuz, Red metro line. Bookmark the permalink. 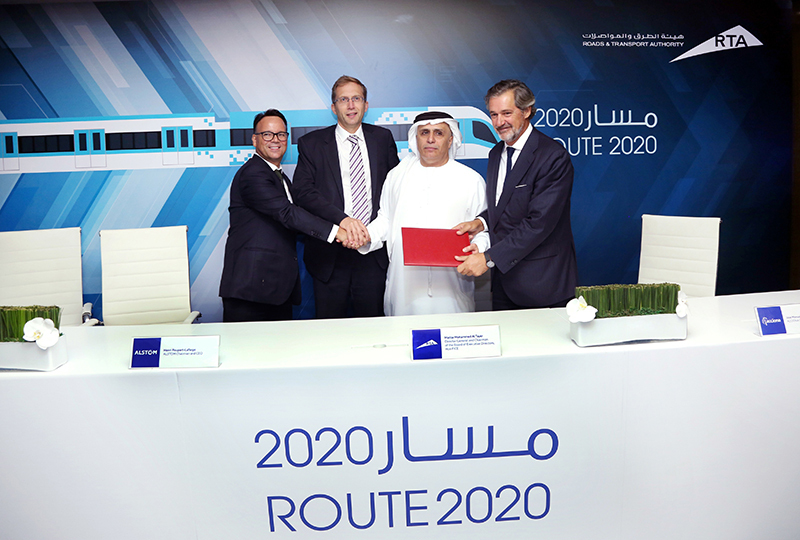 PARIS, 12-Oct-2016 — /EuropaWire/ — The signature of the contract follows the announcement made by HE Mattar Al Tayer, Director General and Chairman of the Board of Executive Directors of the RTA at a press conference that was held in Dubai on June 29, 2016. The event was also attended by the three Chairmen of the companies forming the Expolink Consortium: Henri Poupart-Lafarge, Chairman and CEO of Alstom, José Manuel Entrecanales, Chairman of ACCIONA and Kemal Guleryuz, Chairman of Gulermak.